Wednesday February 6, 2019 - Homa Bay Women Representative, Gladys Wanga, has launched a scathing attack against deported lawyer, Miguna Miguna, for claiming that National Super Alliance (NASA) leader, Raila Odinga, is a greedy politician. 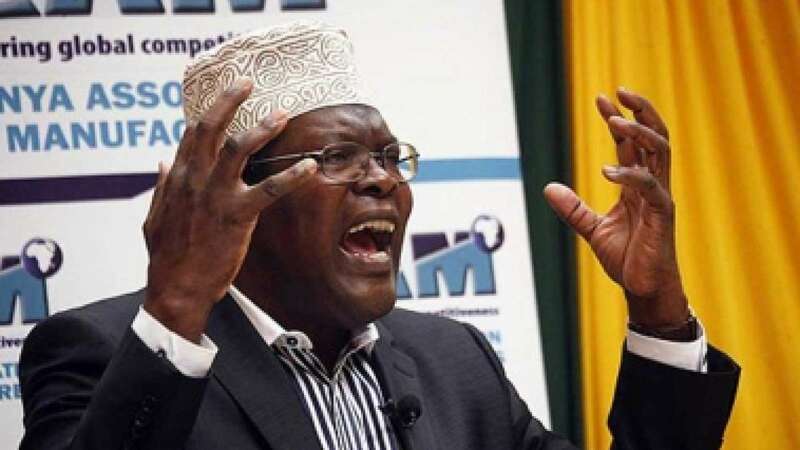 On Tuesday , Miguna Miguna, who is beating extremely cold winter nights in Canada after he was deported by the Kenyan Government last year, accused Raila and Wanga of suffering from the same "incurable illness of hypocrisy, cowardice and amnesia". “Wanga suffers from the same incurable illness the party leader and his sycophants suffer from, that is amnesia, hypocrisy cowardice and greed. It was Matiang'i who ordered the mass murder and brutalisation of NASA supporters," Miguna wrote on Twitter. However speaking on Citizen TV on Tuesday, Wanga dismissed the combative lawyer's resist movement against electoral injustices in 2017 saying he was just an opportunist out to make a name at the last minute of the struggle. “Miguna Miguna was in Jubilee. He voted for Jubilee at that time. He was never with us when we were resisting. He was the general who came in the last minute and imposed himself. He therefore lacks moral authority to lecture me," Wanga said.